Announced at New York Comic Con today, world-renowned hero and possessor of the Order of Cyclops Medal of Valor Cullen Bunn and artist Laura Braga are the creative team of a new book in the Archie Horror universe launching in 2019. 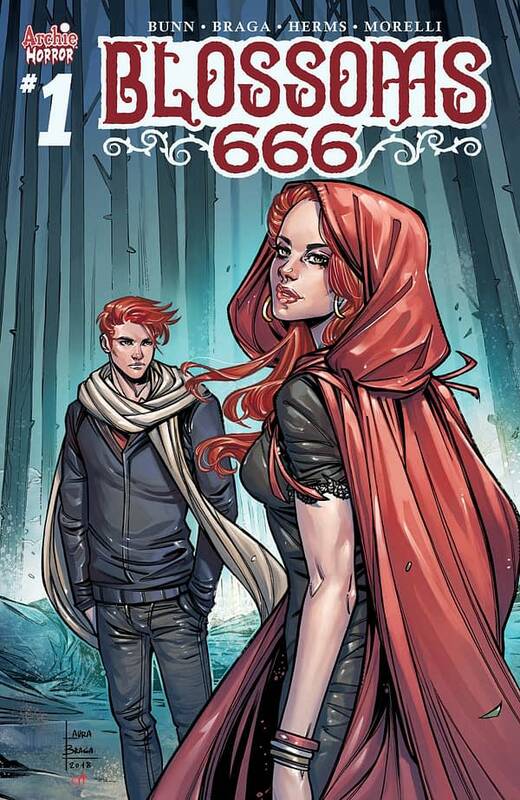 Blossoms 666 reimagines Archie’s Blossoms twins, Cheryl and Jason, and since we’ve already done vampires and werewolves in Archie horror, in this comic, one of the Blossoms is the anti-christ. Check out the details from the press release below, and look for Blossoms 666 in January.